7) Build an e-commerce website with a helpdesk. Adding an e-commerce option to your company’s website will allow you to take credit card payments online, saving you the hassle of cashing checks. Encourage users to set up automated billing so that you have to worry less about tracking each payment. Also set up a help desk option where customers can contact you if trouble arises. 9) “Early to bed, early to rise, work like hell and advertise.” – Laurence J. Peter. Be sure to advertise your site accordingly. Add banner advertisements or network ads. Advertising can get expensive so reach out to those you know first. What is the Best HostDime Package for Resellers? HostDime no longer offers reseller packages to prevent directly competing with our clients. 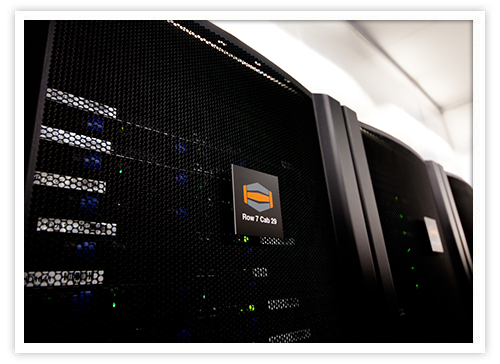 Therefore our product line has evolved to implement KVM VPS packages. These provide the same interface and features that shared and reseller packages provide but with much more security, stability, reliability, and level of customization than the shared environment can offer. Lastly, if this all sounds like a bit too much work, consider becoming an affiliate where the web host pays you for leads you send to them. Each time you send a lead, you receive money. Whatever you choose to do, HostDime wishes you luck in all your endeavors! Are you looking to leave your current web host? Use coupon code VHOST for 15% off recurring every month on any HostDime package. Vikki F. is the Director of Marketing for HostDime.com, Inc. and has been a reseller herself for almost 10 years. Let us know if you have any questions by sharing your comments in the box below, or by sounding off on our Facebook Page or Google+ Page, or by tweeting us at @HostDime. I appreciate them, also I love the blog you wrote about marketing your company. I am soon starting a company myself, and I will use Host Dime to Co-locate my servers. could you tell me, what approximattly budget needed to start a business or setup my all servers, licence etc evrything to need to start my business. . I recommend you to start with reseller hosting account and it will cost you around $25-$50 per month including WHMCS billing system. 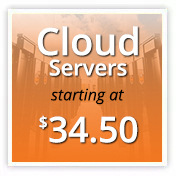 You should go for VPS or dedicated server when you have some clients. @Narsing, If you are doing it on the cheap, you can get off the ground for as little as $1000 (this is company registration + 12 months leasing of reseller account with hostgator and that includes billing software and everything you need to get started) This cost might vary from state to state, and country to country. Most people get started for about $0-$20 per month, but they hardly are a reputable business, never pay tax, and usually dont last long. If you are already a business (perhaps you do websites for people and pay tax legally) you could charge an extra fee on top of clients sites and manage their sites for them. As this is in addition to your current work, and as you are only signing up users when they purchase sites, etc. You could get a basic reseller account from ferngullygraphics.com for about $6 -> you wont be a “proper” webhosting company, but that will allow you to get started in the industry, hosting your own clients websites. If you are planning to get into proper webhosting and create a professional company. It will take you about 2 years to gain the required skills to do this, as well as alot of money so that you can rent servers for practising / testing and learning on. If you dont have 2 years to learn, then just starting by hosting sites that you have built will allow you to learn gradually, and then when you have several clients, you could then look into starting a proper company, getting your own servers etc.etc. Thanks for these information. I’ve been thinking of selling some server space for some time. Great article. I’m jumping into the hosting business in 01/2014. I’ll keep reading your very informative articles. Thanks Freddie. We wish you luck in the new year! Cheers for the article! I’ve just recently started selling hosting but I never thought to use reseller hosting! My current setup means I’ve had to set up jails and the like to stop my customers accessing other parts of the server which is a nightmare! Hopefully I’ll have more luck with the reseller hosting! This was a nice article. I think you really laid it out nicely for someone who is looking to becoming a web hosting reseller. In terms of control panel I definitely wouldn’t only consider cPanel or Plesk. DirectAdmin is another good option, as is InterWorx, which is good for scaling if the business grows. Thanks again for a nice article. Reseller hosting can be a really good venture if you’re willing to put in the work. In fact, I was deciding to start my own reseller hosting. Having moderate knowledge, it looks to be pretty easy as for now. Love your pros and cons! Keep it up and probably the best information when it comes to reseller hosting! Great article, am making researches about getting started in webhost reselling business, am a complete novice on web designing, developing etc but am very much determined to go into this business,i wanna make some real money though. Keep up the good work, i will always be checking up your articles. Wow ! generally great article .thanks for the information. Great article and good for go-getters.Thank u so so much. This is a very good article. I have some small capital to start my own host reselling, however, I need to get some real firm pricing. I am well-versed in web design, CPanel, and for the most part, servers. However, I am a novice in running a business. Any suggestions would be appreciated. This post offers a useful insight into becoming a web hosting reseller as it provides an in depth analysis of how to go about and what are the pros & cons. A well conceived and well written article taking into consideration the challenges involved in becoming a web host reseller. Sounds interesting! This was a nice article. You’re efforts were worth it. You’ve hooked the attention of netizens. Keep it up! I have reseller hosting setup and i m beginner. i want to know how to pull my company name in host look up as hosting provider. Like on webhosthero.com and whoishostingthis.com. currently showing my parent company name instead of mine in hosting lookup. is there any setup to be dome with my reseller website domain. Reseller hosting is not tough to start as it only requires money from you and as it is a managed service provided by your hosting provider so you are easy to concentrate on building up your clients. And when you get lot of clients then you can go for a managed VPS or an unmanaged if you have skills to manage it. Thanks Vikki its a pretty good idea to earn money with reseller hosting business. I’ll back to read more informative articles to know about setup a reseller host. Nice article. Earning money from a reseller hosting business sounds like a great idea. Great article, just about to start my own reseller business. This came to be very useful to me, I now have the confidence to kick start my own reselling business. Thank you so much, I will keep checking your blog. If you want to increase your business in short span then you can provide your service at cheap price, so the clients will be attracted towards your company. You can not go wrong with HOSTDIME. We started with them in 2004, we bought the reseller package month to month for a few months then had to go into a dedicated server, we are now up to 30 servers that we have operated with HD over the 13 year “Partnership”. But enough about us. I just used the word Partnership because that is how HD has always treated us, As if were there biggest mst important customer they have, always polite, always ready to explan something we don’t know like we are best-friends. As HD started just a couple of years before we did, it is amazing how they have grown. But I am not surprised. You can not treat people as good as they do and not find the rewards they have.